Starting January, 2011 only Customers with Maintenance subscription will receive direct technical support from Black Ice Software. Black Ice Software® announces the release of version 5.09 of the Print2RDP with a new solution to the receipt and label printing problems previously encountered. Label printing can be problematic. 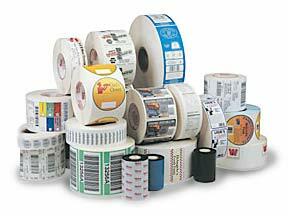 Generally label printer paper sizes are non-standard paper sizes and are defined in landscape mode, while most standard paper sizes are defined in Portrait mode. This can create problems with existing applications, since most applications often assume the paper size is in Portrait mode. Often label printing software is hard coded for the paper type used and the brand of label printer they support..
We created a solution for these complex printing issues. Print2RDP v5.09 will be able to print labels and receipts to local printers from a wide variety of server-side applications. Customers with version 5.00 or higher can upgrade for free by downloading and installing v. 5.09 and using their existing serial key. Customers with version 4.9x or lower will need to purchase an upgrade first. 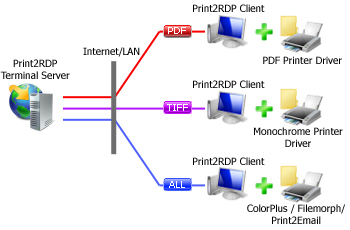 Combine Print2RDP with a Black Ice virtual printer driver and convert any printable document on the server directly to the Client machine into PDF, TIFF, HTML, JPEG or any other (30+) output formats. Don't forget to subscribe to future releases by purchasing maintenance. With the yearly maintenance subscription, you will receive all new releases of your software for free! Also included is Priority email technical support. For more information call us at (603) 882-7711 Extension 3, or impactsales@blackice.com. As a special offer, if your Maintenance Subscription has expired or you did not include it with your original purchase, simply mention this newsletter to renew or add Maintenance retroactively!